This is an exhaust hood before BEST HOOD CLEANING. 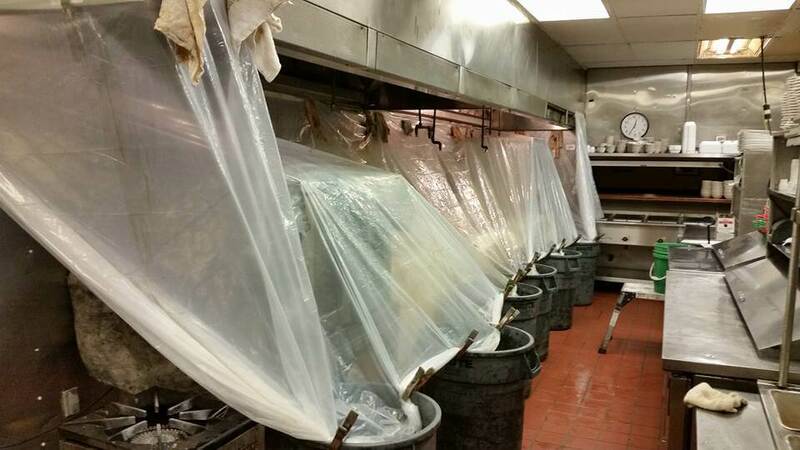 Is your commercial kitchen overdue for an exhaust hood cleaning? Look no further. BEST HOOD CLEANING in Sacramento, California has your back. We apply our tools to your hood exhaust to ensure that it is the next thing after “brand new” by the time we leave. Insurance companies and health regulations require that you have your exhaust hood cleaned regularly. If you’re wondering what “regularly” means, we suggest consulting your insurance company or local board of health. 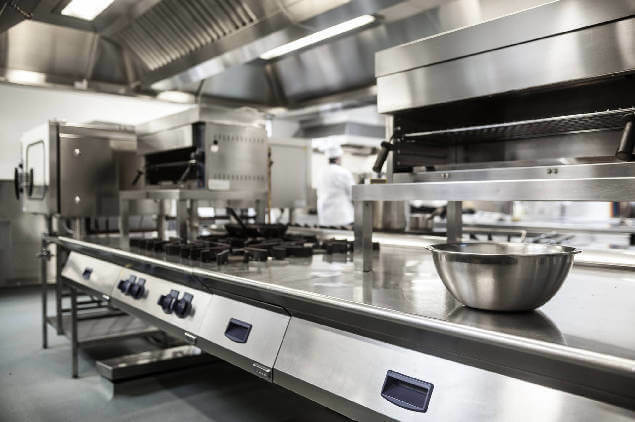 However, as a general rule, a restaurant that uses grease frequently should have a professional exhaust hood cleaning service come in every 90 days. Don’t get left behind and get nasty fingers pointed at you for neglecting your kitchen. Get on top of it, call BEST HOOD CLEANING today at 916-347-5300. For starters, know that we will always cooperate with you and your needs, while also following the local health regulations and fire code. As a professional exhaust hood cleaning service in the Sacramento area, we are expected to clean your exhaust hood system to a certain standard, and nothing less. We will always use appropriate, up-to-date tools to clean your kitchen equipment. When our exhaust hood cleaning technicians come to your kitchen, we will inspect the entire system, from cook-top to roof-top. We will inform you of any risk factors, such as fire hazards, corrosion, or hazardous odors. We will then inform you of everything we are about to do, so that you can be knowledgeable of what’s going on in your kitchen. Then, we will get to work. Keeping in mind that hinging your exhaust hood is required in the state of California, we will address this upon our visit. An exhaust hood without hinges can be a fire hazard and can result in a damaged exhaust cap. A hinged exhaust hood allows cleaning services like us to simply open it, rather than remove it and set it aside. Since they are made of very soft aluminum they are prone to getting bent and damaged very easily–and that can happen by setting it on the roof. A damaged exhaust hood is a fire hazard. WHY IS IT SO IMPORTANT TO HAVE YOUR EXHAUST HOOD CLEANED? Not only does the grease build-up start to smell funny, but it’s also hazardous. Grease is dangerous, man. Many restaurant fires are the direct result of grease build-up in the hood system. Grease fires happen with the grease build-up in the system gets hot enough to ignite. If you’re using your kitchen hood system regularly, this can happen very easily, as the temperatures within a hood system can get really high. Talk to any fireman who has ever dealt with a grease fire, and they will tell you that grease fires are dangerous, and difficult to deal with. Since the fuel source of the fire (grease) is liquid, it is easily splashed. Therefore, a grease fire spreads very quickly. In addition to the quick spreading abilities of a grease fire, it cannot be put out with water. Fire fighters have to use specific equipment and chemicals for putting out a grease fire, and that opens a whole new can of worms for your restaurant. So let’s put it this way. A grease fire is probably the greatest risk you take when you let your hood cleanings go on for too long. Let’s just not go there. 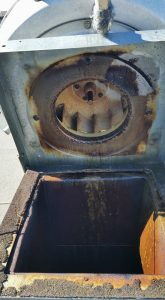 Another issue that can arise from not having a regular kitchen exhaust hood cleaning is the possibility of roof corrosion. Restaurant grease is notorious for causing corrosion on roofs. The grease and fumes are released through the hood exhaust and then begin to build up on the roof. That’s why when we come for a general cleaning, we perform a full inspection of your facility and educate you on the overall condition of your stuff. We offer all of our services to you as needed. BEST HOOD CLEANING can clean and maintain things beyond the kitchen exhaust hood. We want to be your go-to business when it comes to all things cleaning kitchen. We are passionate about what we do and we are very educated. Our team has spent many years training and learning the art of commercial kitchen cleaning. We are licensed, bonded and certified exhaust hood cleaners in the Sacramento, California area. PEOPLE LIKE YOU MAKE OUR LIVES WORTH LIVING. Look, this is what we do. This is the profession that our lives revolve around. We are always continuously learning every day to keep up with the ever-evolving times of commercial kitchens. It’s business owners and managers like you who keep us going. We want your business and we want your satisfaction and nothing less. Let’s work out a cleaning schedule together. 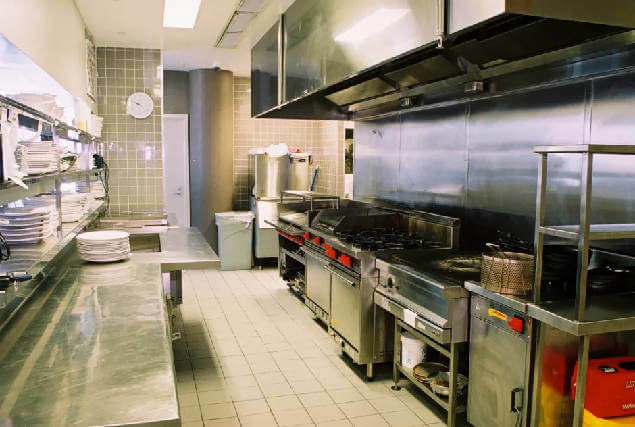 We can come out, meet with you and determine how often your commercial kitchen should be professionally cleaned, and then work out a schedule. Call us today at 916-347-5300. We’re looking forward to helping you make your restaurant awesome. BEST HOOD CLEANING proudly services Sacramento for exhaust hood cleaning and is fully insured, bonded, certified and licensed.